Indiana Historical Society, 9780871952769, 213pp. 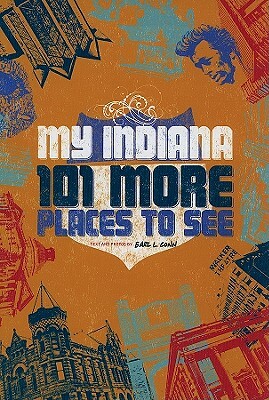 The sites in My Indiana: 101 MORE Places to See are a mixture of highly visible Hoosier travel destinations and many tucked in nooks and corners around the state - museums, state parks, historic sites, monuments, recreation areas, and other attractions that beckon to tourists. Written in a conversationsal style, the book offers opinion on each destiantion from a visitor's perspective. Handsomely illustrated with more then 300 color photos, My Indiana includes detailed route descriptions, travel information, local contact information and attraction fees.